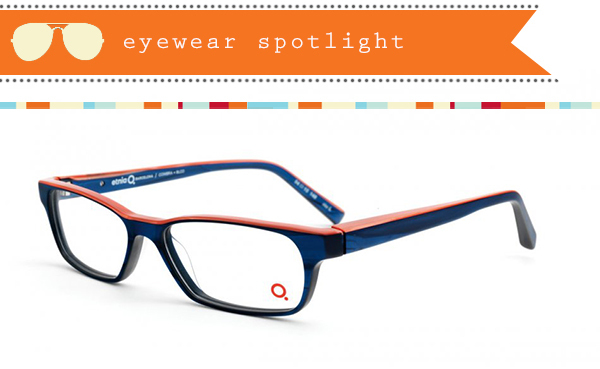 These frames exemplify the synergy resulting from an outstanding color combination. Topping a translucent royal with an opalescent coral in a rectangular shape makes for a clever re-invention of a timeless classic…and the most stylish readers we have seen in a very long time! To see how you look in these reading glasses, visit eye-bar in Sherwood Park. eye-bar’s opticians and eyewear specialists can help you select your perfect frames. To ensure optimal vision with your eyewear from eye-bar, always keep your prescription lenses up to date. You can schedule your next appointment with an eye-bar optometrist using our online booking system.